作者: The AsiaN Editor on 27 July , 2018. Temperatures have risen to record levels in several parts of Europe and Asia this week, with dozens of people killed in wildfires and many others dying from heat stroke. “Extreme weather, including record temperatures and heatwaves, drought and disastrous precipitation, has marked the first half of summer in the northern hemisphere,” the World Meteorological Organization said in a statement released Tuesday. “This has had widespread impacts on human health, agriculture, ecosystems and infrastructure and led to devastating wildfires,” the Geneva-headquartered organization added. In Greece, at least 74 people were killed in the deadliest wildfires in years as temperature rose above 40 degrees Celsius. More than 1,200 houses were destroyed in the fires. The prime minister of Greece announced a three-day national mourning over the deaths. Sweden was also hit by the biggest wildfires in its history as it experienced its hottest July temperatures on record. 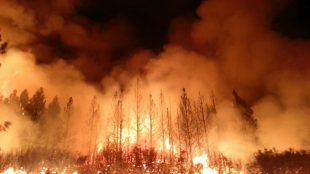 While many of the fires had been brought under control by Tuesday, the weather service warned that temperatures were set to rise again later in the week. Farmers in Sweden have warned that the long-running drought, with no rain in some parts of the country since May, is resulting in a shortage of food. This year’s grain harvest is expected to be the poorest in 25 years, and Swedish dairy farmers have said they are being forced to slaughter some of their livestock. Italy has also been hit by wildfires, with several reported in Sicily on Monday, according to the national fire department. However, the overall numbers in Italy have been much lower than usual at this time of year. 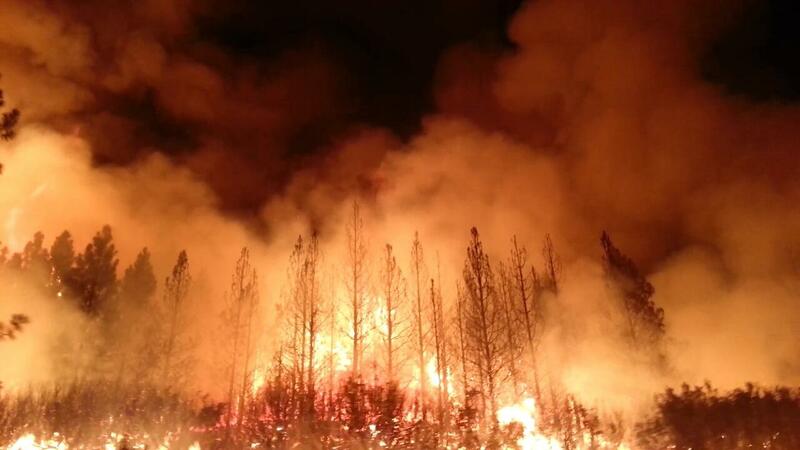 In the United States, a major wildfire has been spreading since mid-July across about 15,000 hectares in the California’s rugged Sierra National Forest, causing one death and six injuries among firefighters. More than 3,300 rescue workers are battling the flames, with 25 per cent of the fire contained on Tuesday. Parts of Yosemite National Park also threat, but the park remained open. In Japan, at least 14 people have died this week in a deadly heatwave with temperatures in some areas above 40 degrees Celsius. These deaths come on top of those from last week, when 65 people died and 22,647 were taken to hospital after suffering from heat stroke, the Kyodo news agency reported. According to the Japan Meteorological Agency, the temperature hit a record 41.1 degrees Celsius in the city of Kumagaya, 60 kilometres north-west of Tokyo. Temperatures were also expected to break the all-time record in Britain this week, with forecasters predicting that the mercury would rise above 38.5 degrees. The country’s national weather forecaster, the Met Office, has issued several heat and sun exposure warnings over the past week.